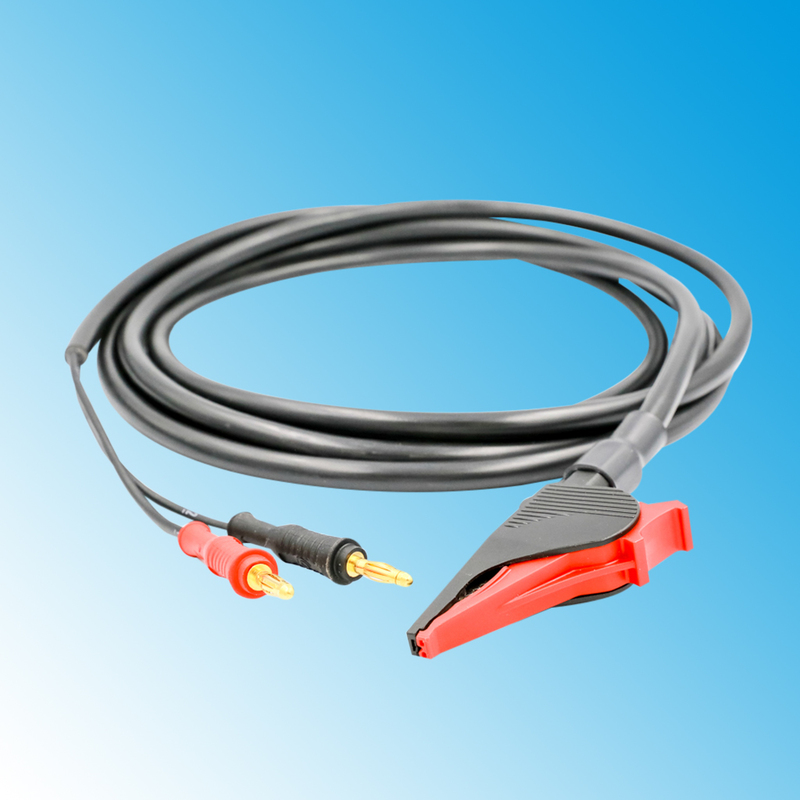 Tinsley KL series kelvin lead sets are for use with 4 wire Digital Low Resistance Ohmmeters (DLRO’s) requiring test leads that allow the easy connection of current and voltage sense leads to the test subject. This is achieved using only two connecters, allowing accurate low (m/μ Ohm) resistance measurements to be made. Tinsley has developed a series of hardwearing quality test leads with Kelvin Alligator Clips and ‘C’ - Clamps in various lengths suitable for heavy duty use to make DLRO measurement connections easier. Adaptions and connections can be accommodated for client special requirements.